Invest in the expert’s recommended top mutual fund schemes to gain stability in your portfolio. Hello mutual fund investors! We, the team at MySIPonline, are back with some of the best schemes which are performing excellently and probably may show similar kind of performance in the future too. So, check all of them so that you can choose suitable ones to invest in to attain your financial objectives like long-term wealth creation. Reliance Top 200 Fund: A large-cap equity scheme that has the potentiality to provide great stability to the investors. It is the one which has built up a sizable lead over its benchmark and category in the last three years. Reliance Top 200 Fund is among the funds which has attained the attention of a healthy number of the investors in recent years. Moreover, it has undoubtedly helped its investors to successfully achieve their investment objectives in the significant period of time. This scheme is best suitable to the investors who are looking forward to deploying their money into a scheme that can provide an agreeable growth to their capital investment over an adequate period of time. Therefore, you too must check the investment details of this scheme, so that you can know that whether you should invest in it or not. 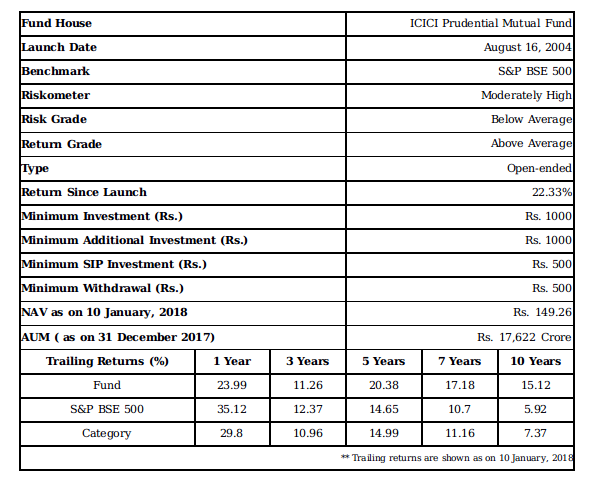 ICICI Prudential Value Discovery Fund: This scheme of ICICI Pru Mutual Fund has traveled a long way toward the top performers. The historical performance of this scheme shows its capacity to exaggerate the investment of the investors into multiples. In the year 2014-15, this scheme has showcased an enormous performance by jumping almost to the double of its position towards the sky. 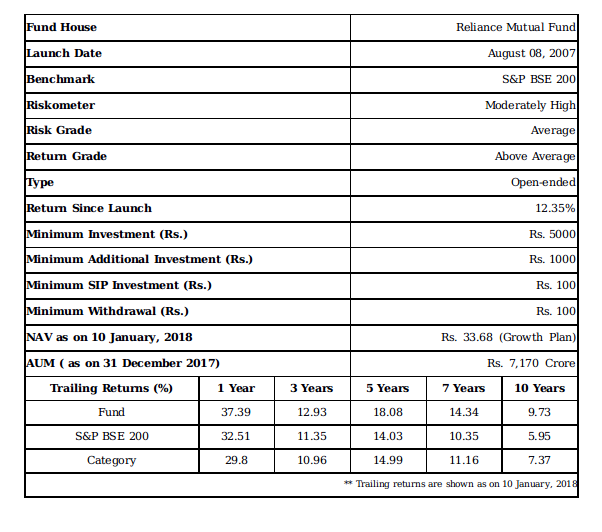 Moreover, its overall performance except the downfall in the year 2008, shows all that what an investor wants to see in a scheme. So, what do you think about investment in it? Better, let’s check its investment details to arrive at a healthy decision. Remember, ICICI Prudential Value Discovery Fund scheme is suitable for the investors who want to go smooth in the path of creating long-term wealth. 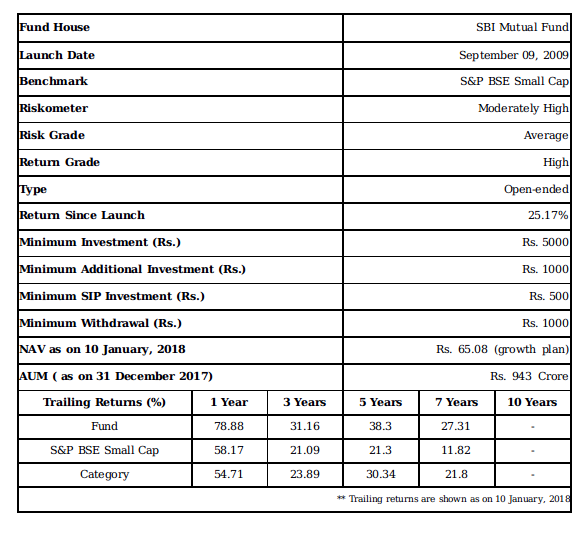 SBI Small & Mid Cap Fund: For the investors who wants to go a little aggressive toward their objective of wealth, this scheme of SBI Mutual Fund can be among the best choices. It is a scheme of small-cap category, and thus invests almost 65% of its total assets into the stocks of small-cap companies. The rest of the capital get deployed in the stocks mixed of mid-cap and large companies, so that it can also attain a little diversified portfolio to average the risk of the investments in the small-cap stocks. But, overall it highly targets toward attaining high capital appreciation in the long-term period. Thus, it has been said that it can be a suitable fund for the investors who can afford to go through a little shaky way to reach their financial goals. Let’s check whether it’s suitable for you or not! The three schemes as mentioned above are among the best recommended mutual funds by the experts in the industry. All of them have proved their ability to showcase excellent performance and provide adequate returns to the investors. So, you too can check them out whether they match your investment objectives or not. If you want to go through more schemes for investment purpose, then register yourself at our portal, i.e., MySIPonline, and scout from a wide variety of mutual funds of different top AMCs in India. You can also use our ‘Compare & Invest’ feature to know which scheme has performed superior, and accordingly make your decision of investing in the most suitable one.